The presidential response has arrived to Neil Gorsuch, Trump's SCOTUS nominee, telling Democratic Sen. Richard Blumenthal that he found Trump's "so-called judge" tweet "disheartening" and "demoralizing." Checking these two claims: 1) The first part of Trump's tweet refers to 2010, when Blumenthal admitted his claims about serving in Vietnam were not truthful. Like Trump, the Democratic Senator obtained five draft deferments during the war, and Blumenthal entered the Marine Reserve in 1970, ensuring he wouldn't go to Vietnam. 2) But Trump's claim that Blumenthal misrepresented Gorsuch's claim doesn't make much sense. 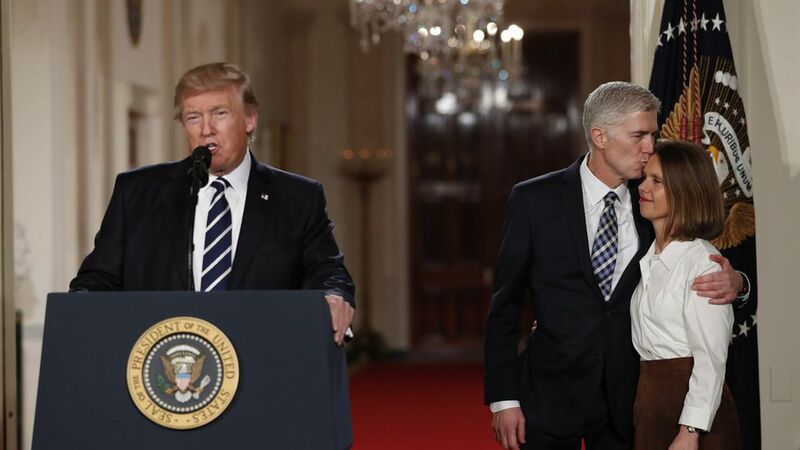 Ron Bonjean, the Republican communicator who is representing Gorsuch, confirmed the story yesterday to CNN.